Mane shop fronts in Birmingham installation of aluminium shop fronts and Mane carry out repairs to aluminium shop front doors throughout the Birmingham area, aluminium shop fronts can give your shop a fresh, modern look and draw in the extra custom you need, remember the first impression a customer has of your shop is its Shop Front. Aluminium has highly anti corrosive properties, is light in weight yet very strong, can come in any colour, has a smooth finish, looks modern and is very easy to maintain. 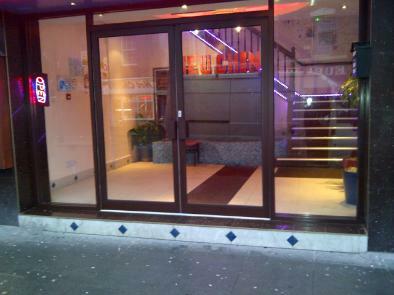 If you want to have a new shop front in Birmingham please get in touch for a free quote either by telephone or email. 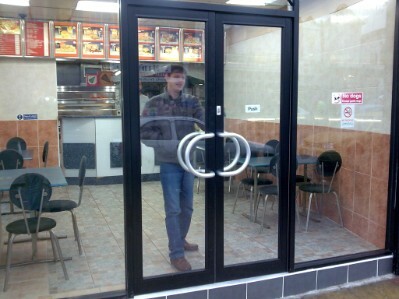 Mane Shop Fronts can replace or repair shop front doors in Birmingham, Mane can supply and install a replacement door without the need to replace the full shop front, we can match the colour and style of your old shop front door if required. Mane Shop Fronts can also carry out repairs to shop front doors including shop front door closers, floor springs and locks. Please get in touch today for a quotation.